James Poelman laid to rest in cockpit of dream plane... Piper PA-28-180 Cherokee. 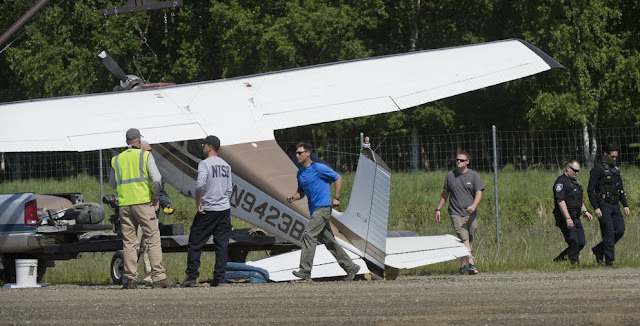 On June 13, 2018, about 1205 Alaska daylight time (AKD), a wheel-equipped Cessna 207 airplane, N91038, and a wheel-equipped Cessna 175 airplane, N9423B, collided midair near the mouth of the Big Susitna River, about 20 miles west of Anchorage, Alaska. The Cessna 207 was being operated as Flight 38 by Spernak Airways, Inc., Anchorage, as a visual flight rules (VFR) scheduled commuter flight under the provisions of 14 Code of Federal Regulations (CFR) Part 135. The Cessna 175 was registered to and operated by the pilot as a VFR personal flight under the provisions of 14 CFR Part 91. The commercial pilot of the Cessna 207 was fatally injured. The private pilot of the Cessna 175 was not injured. Visual meteorological conditions prevailed in the area at the time of the accident. The Cessna 175 departed a remote fish camp about 1126 AKD en route to the Lake Hood Seaplane Base (PALH) with no flight plan filed. The Cessna 207 departed Merrill Field (PAMR), Anchorage, about 1200 with about 250 pounds of cargo on board, destined for Tyonek (TYE), Alaska, with company flight following procedures in effect. During an interview with the National Transportation Safety Board (NTSB) investigator-in-charge (IIC) on June 14, the pilot of the Cessna 175 stated that while in level cruise flight at an altitude of about 1,000 feet (ft) above mean sea level (msl), he began talking on the radio with the pilot of a Piper Super Cub, which was passing in the opposite direction, to maintain visual separation. He added that, as he watched the Piper Super Cub pass well below his airplane, he noticed the shadow of an opposite direction airplane converging with the shadow of his airplane. Alarmed, he looked forward and saw the spinner of a converging airplane in his windscreen, and he said that he immediately pulled aft on the control yoke. The pilot said that his airplane climbed abruptly just before the two airplanes collided. 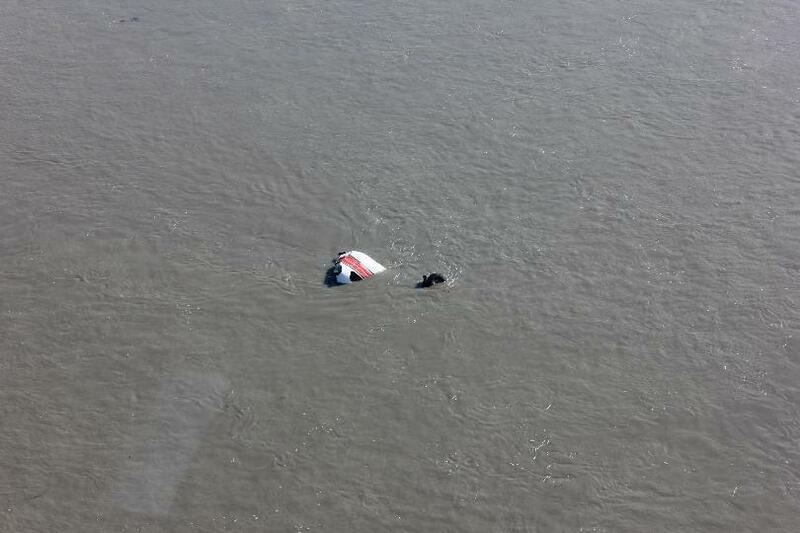 After the collision, the Cessna 207 descended uncontrolled into the Big Susitna River. He said that, after the collision, he assessed the condition of his airplane and circled over the wreckage of the downed Cessna 207 numerous times, looking for any survivors, marking the location, and using his radio to enlist the help of any pilots in the area. Realizing that no one had escaped the partially sunken wreckage of the Cessna 207, the pilot elected to return to PALH. He said that a Good Samaritan pilot in an airplane responded to his distress calls, flew alongside his damaged airplane, provided him with a damage report, and escorted him back to PALH. A second Good Samaritan pilot in a float-equipped airplane heard multiple distress calls and emergency personnel communications, landed on the river near the partially submerged wreckage, and confirmed that the pilot was deceased. The Cessna 175 pilot subsequently made an emergency landing on Runway 32 at PALH, a 2,200-ft-long, gravel-covered runway. Two NTSB investigators responded to PALH, talked with the Cessna 175 pilot, and examined the wreckage. The Cessna 175's left main landing gear and nosewheel were separated and missing. The right main landing gear tire was cut with features consistent with a propeller strike, and the outboard portion of the right elevator sustained impact damage with red paint transfer. The airplane sustained substantial damage to the fuselage and right elevator. Due to the location of the wreckage of the Cessna 207 in the silt-laden waters of the Big Susitna River, the NTSB IIC was unable to examine the wreckage at the accident site. An aerial survey of the accident site, which was conducted from an Alaska State Troopers' helicopter, revealed that the wreckage was inverted and partially submerged near the mouth of the river. The left main tire and a portion of the fuselage were protruding from the water. The Cessna 175's left main gear leg with the wheel attached, as well as other wreckage debris, was found on the east bank of the river about 1,380 ft east of the Cessna 207's main wreckage. A preliminary review of archived Federal Aviation Administration (FAA) radar data revealed that, on June 13, about 1203 AKD, two unidentified targets, believed to be the accident airplanes, converged from opposite directions about 1,000 ft msl near the mouth of the river. The data showed that, about 1 minute before the presumed accident time, the westbound target, believed to be the Cessna 207, began a descent to about 874 ft msl then initiated a climb to an altitude of about 900 ft msl just before the targets appeared to merge. That airplane's track disappeared about 1205 AKD. The eastbound target, believed to be the Cessna 175, maintained an altitude of about 1,000 ft msl throughout the sequence. After the targets appeared to merge, the eastbound airplane initiated a climb, returned to the area near where the targets converged, and circled for some time before leaving the area. The closest weather reporting facility was at Anchorage International Airport (PANC), Anchorage, Alaska, about 20 miles east of the accident site. At 1153, a METAR from PANC reported, in part: wind from 290° at 5 knots; visibility, 10 statute miles; clouds and sky condition, few clouds at 4,500 ft, few clouds at 10,000 ft, scattered clouds at 20,000 ft; temperature, 55° F; dew point 43° F; altimeter, 29.91 inches of mercury. A detailed wreckage examination is pending following recovery. ANCHORAGE (KTUU) — James Poelman, a pilot, flight instructor and pastor who was killed in a midair collision over the Big Susitna River last week, was laid to rest Monday in the cockpit of what his family say was his dream plane. 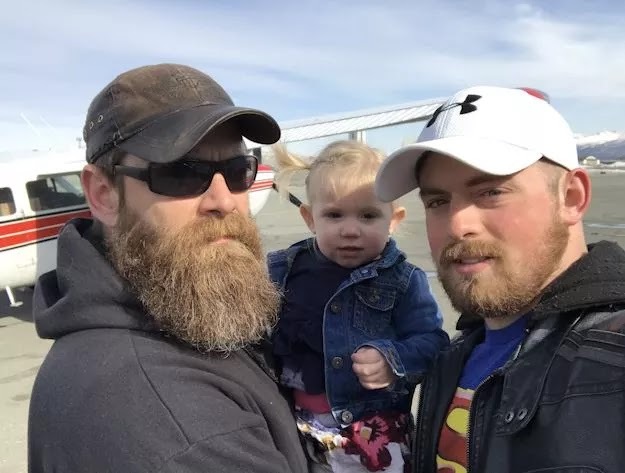 Poehlman's family says the makeshift casket holding his body was big enough to fit the memory of a man who touched the lives of many through his love for God, his family, and flying. 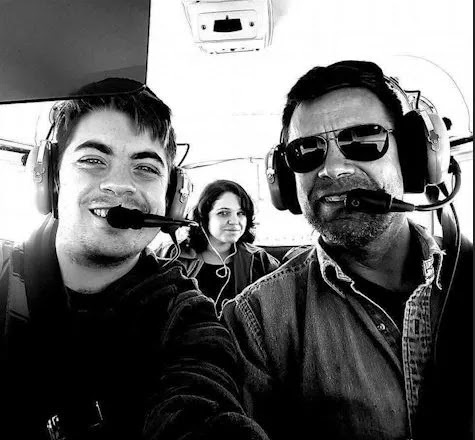 "He loved flying," said James' wife Lisa Poelman. "He wanted everybody to learn how to fly." Poelman's dream airplane, a blue and white Piper PA-28-180 Cherokee. Although he never got a chance to fly one, his family made sure that he lay at rest inside of it. "Years ago, my husband told me 'When I die, don't spend a fortune on my funeral. I’m not there. Put me in a sleeping bag and throw me in the back yard,'" Lisa Poelman said. Lisa respected her husband's wishes, but she wanted to do something special. And when Alaska Aircraft Salvage yard in Palmer donated the cockpit from a Piper PA-28-180 Cherokee, she knew it was the perfect send-off. "We put him in a sleeping bag, in the airplane. And he's right across from the airport here in Palmer where he did his flight instructing. So we think he would be very happy and we are very happy. It made things go a lot easier, I think for us, knowing we were honoring him in a way that he would love it," Lisa said. Other members of the Poelman family say the grief is still very near. "My dad was a great man," James’ son Ben Poelman said. "He was the greatest man I've ever had the privilege of knowing. 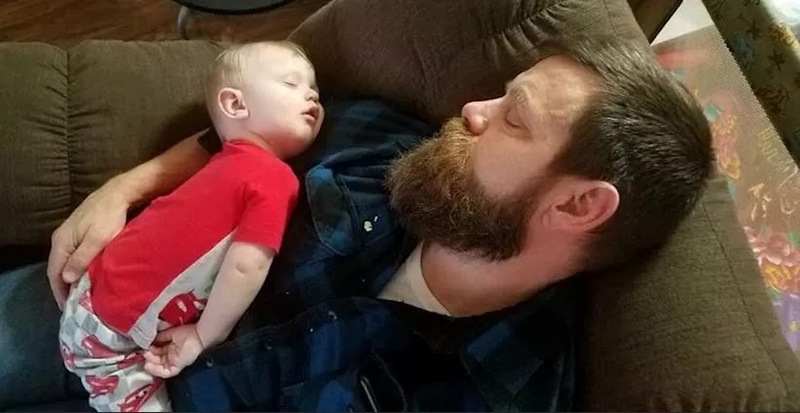 And I'm very sure the greatest man I will ever know." A loved and respected member of the community, Poelman's family aren't alone in grieving his loss. "That, in essence, is the life of James Poelman," said Frontier Baptist Church member Richard Christianson. "He was a good preacher, he was a good teacher, and he was a good friend, and I'm going to miss him but I'm going to see him again someday." Lisa says her family is strong, and they are coping with the unexpected loss day-to-day. But when asked how she plans to move forward, she says she is putting her faith in God. The family plans to use the tail of the plane as the headstone on James' grave to mark the memory of a man who died doing what he loved. "Time is short, you never know when something is going to happen," Ben Poelman said. "This was a surprise for us. Just make sure you know where you are going when you die. I know my father would want that shared." 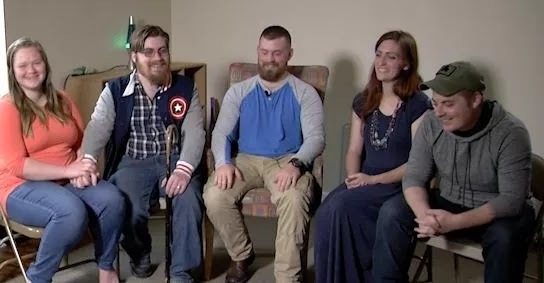 Ben' along with his twin brothers Cody and Jacob, sister Jenny Ward and sister-in-law Sasha Poelman, shared the story of their dad, James Poelman. Poelman died on Wednesday when his Cessna plane collided with another Cessna plane above the Mat-Su valley. "It's not like it is now, cloudy or raining," Jacob said. "It was 68 degrees, blue skies, no wind. As soon as I heard what happened I was like, 'okay, a collision with an aircraft, of course he did. Wait, what? How?' I still can't even wrap my head around it." Not knowing what happened in the skies over the Mat-Su valley still bothers Jacob and a lot of his family members. "I've ridden with several other pilots and he is easily the most cautious pilot I have ever seen in my life," Ward said. "It had to have been his time because there is no other reason that should've happened." "It doesn't make sense how it happened," Cody Poelman's wife, Sasha said. "Not at all." "It was extremely unexpected," Jacob said. "When my mom called me I thought she was calling me to yell at me about something. It didn't even hit when she started telling me what was going on. It didn't even register, it's not something you'd expect. Not an airplane, maybe a car crash, not in an airplane. It's not like head-on collisions is something you hear about. It's just not common. It's not something that ever ran through my head." The family remembered all of the plane rides their father gave them, ever his family famous wing dip he would perform when flying overhead. James Poelman always wanted to be a pilot since he was six years old. He enlisted in the Air Force hoping to catch his wings there, only to be told he was color blind and wasn't allowed to fly. "He got there, got all ready and good to go and said you're color blind you can't fly," Ben said. "It about broke his heart." 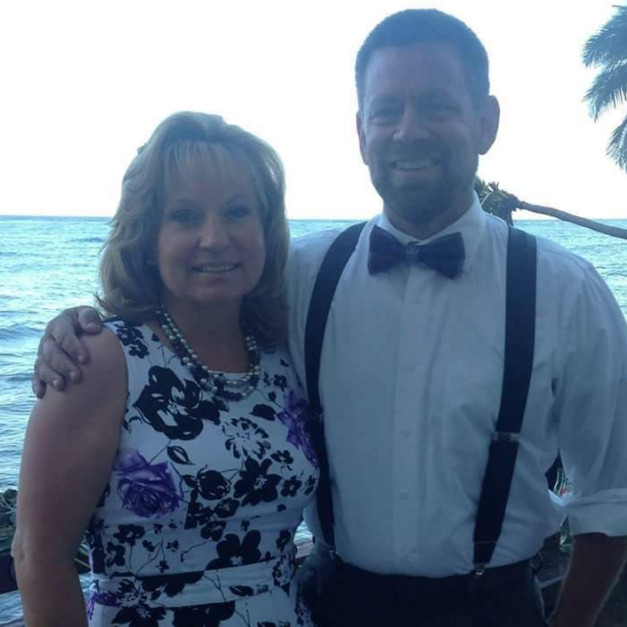 In the Air Force James found another love, his wife Lisa. "He treated her like a queen," Jenny said. "He said I love you guys but not as much as your mom." After the Air Force James Poelman became a minister. For 25 years, he and his wife Lisa and their ever-expanding family started churches in small towns across the country. Living in small towns in North Carolina, Virginia, Ohio, Hawaii and Wyoming before settling in McGrath, Alaska before moving to Wasilla. "I personally watched my dad pray for things and saw them answered," Jenny said. "There is no one on earth that knew they should be answered. I saw the places where he started churches. I saw his ministry thrive and I saw people that were helped. Whether it was emotionally or physically, I saw people all over whose lives were completely changed by him." The Poelman's moved on average from town to town every four years going where God was telling James to go. "I remember living in Wyoming," Jenny said. "Someone started talking to my dad about McGrath, Alaska. At first, he didn't think anything of it. Then someone else brought it up totally random. That's when my dad said, well, I guess we're being called to Alaska." That's how James operated. He took what he called signs from God and listened to them. Taking his family where ever it may be. Just over 12 years ago, James got another shot at becoming a pilot. "My dad was in his early 40s," Ben said. "He got a call from a missionary friend of his and this guy said, 'I know this sounds crazy but there is this 84-year-old retired fighter pilot that teaches one missionary a year to fly for free and he wants your name.'" James jumped at the opportunity and flew to Texas. James flew around with the man for about a month and a half, did everything they needed to do, walked into the exam room for his physical and eyesight test knowing full well knowing he was color blind. "Out of nowhere he could see colors," Ben said. "He never had before. Then passed everything on his physical and they gave him his license and he was like a little kid. He was so happy." James would go on to get every rating he could and also became an instructor. "He worked for a couple different airlines here," Ben said. "Ryan, PenAir for a little while and then Spernak Airways this year. He liked Spernak's schedule flying out of Anchorage. So he was flying passengers from Anchorage to the villages. And from different villages to villages and he would bring cargo and stuff like that." James loved flying but he loved his family even more. The schedule Spernak offered allowed him to spend more time with his family and grandchildren. "When all of us girls lived at home, every Valentine's Day, he would get each of us a rose," Jenny said. "He told us, it didn't matter if we stayed with him for the rest of his life or we got married. He wanted us to know he was always there for us. When my younger sister Sarah was younger, she didn't have anyone in her life at that point, like a boyfriend, fiancé or husband, and she said that dad gave her a yellow rose and said 'it's okay, I'm the only person you need.'" James was always available for all of his six children. Making time and responding to calls or texts as fast as he could. As a pastor, he also officiated all of his children's wedding and accepted his new family members with open arms. "I know right?" Sasha Poelman said. "That was one of his phrases that always sticks with me. He always would say that. He was funny and he was kind and he was dad. He's not just my father in law, he's my dad and I love him very much and I'm so thankful that I'm a part of this family." 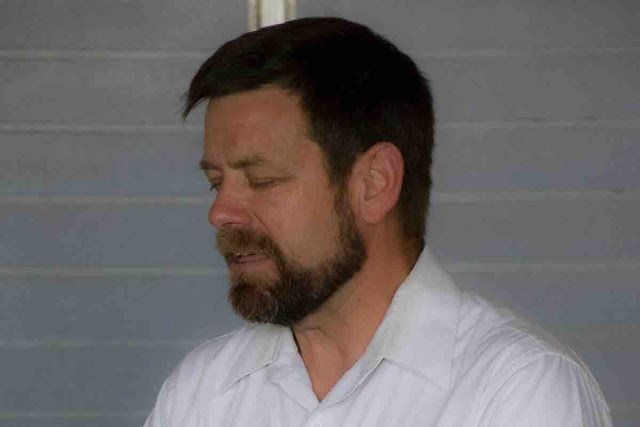 James Poelman was the pastor at Frontier Baptist Church in Wasilla. It's currently still a work in progress. "We were just starting renovations," Sasha said. "Tearing walls down and haven't really finished so it's still in an unfinished state. It was coming together and one of the church members built dad this beautiful pulpit, just incredible." James Poelman's last sermon was this past Sunday, it in, he may have foretold his future, which is a bit of a comfort for some of his family. "The night that he died, I was sitting with my wife Sasha and my best friend," Cody Poelman said. "I went to the church because I remembered his last sermon. I got the recording of it. I put it on my mom's hard drive and played it and said, this is incredible. It's like he knew." James last sermon was from the book of Paul. It talked about eternity taking over for him. He's done everything he can do. I've run my horse-- I've done all I can do. James Poelman leaves behind his wife Lisa, six children and 12 grandchildren. His memorial service is open to the public and will be held Sunday at 2 p.m. in Wasilla at Frontier Baptist Church. You can help the family if you'd like by making a donation to their GoFundMe account here. The Cessna 207 Skywagon piloted by James Poelman of Wasilla, submerged in the Big Susitna River. Clint Johnson, chief of the National Transportation Safety Board Alaska Region, said Thursday that Spernak Airways, based at Merrill Field in Anchorage, said the pilot killed in Wednesday's collision worked for the company. 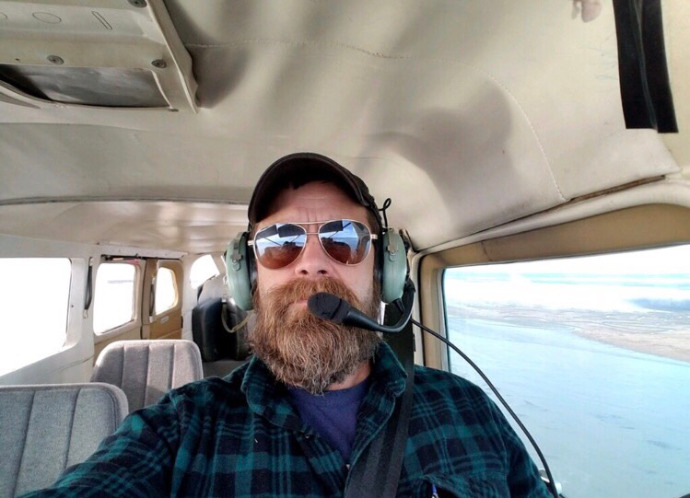 The body of Wasilla pilot James Poelman was recovered late Wednesday after his plane crashed in water near the mouth of the Susitna River, according to Alaska State Troopers. Poelman's body was turned over to the State Medical Examiner Office. Some of the plane wreckage remained in the water Thursday morning, Johnson said. An investigation into the cause and circumstances of the crash is ongoing, troopers said. 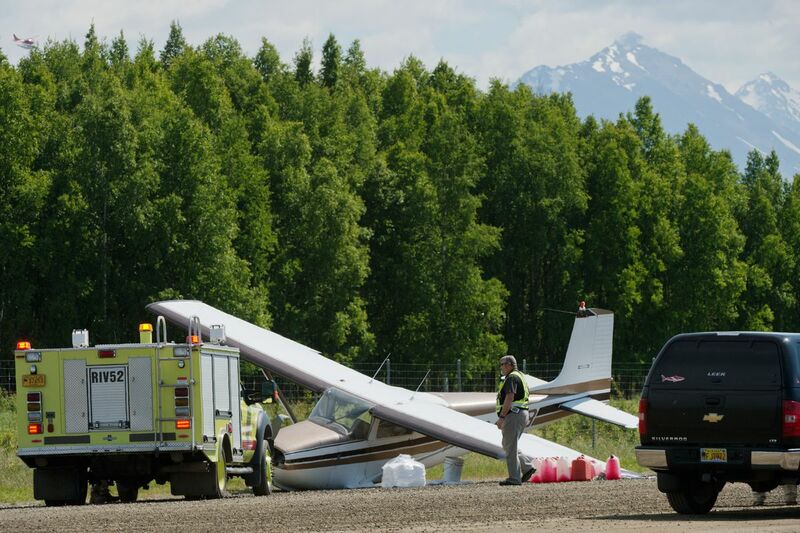 A Wasilla pilot died in a midair collision between two small planes Wednesday near the mouth of the Susitna River, officials said. James Poelman, 56, died in the crash, Alaska State Troopers said. He was the pilot and sole occupant of one of the planes, troopers said. 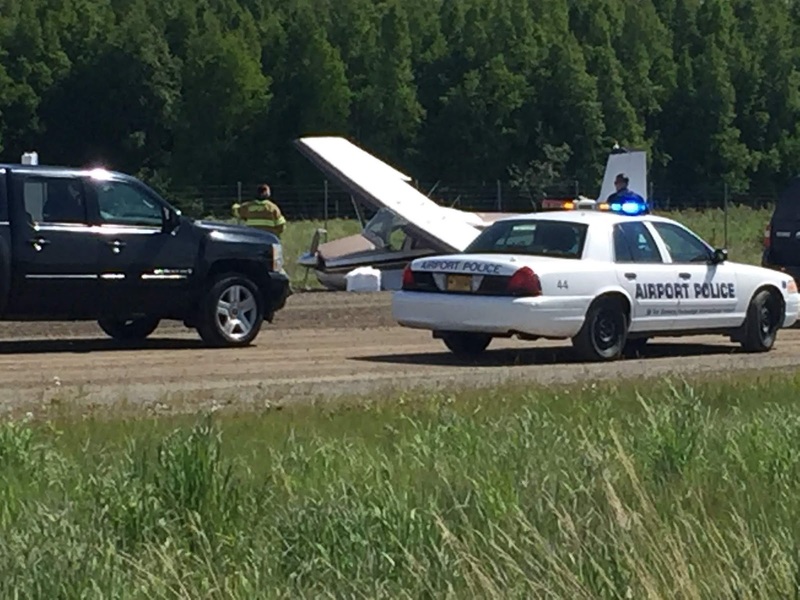 The other plane, a Cessna 175 Skylark , made an emergency landing on a runway at Anchorage's Lake Hood Seaplane Base. The pilot, who told an investigator he had been nearly "nose to nose" with the other plane moments before impact, walked away without injury, officials said. Poelman's plane crashed near the mouth of the Susitna River, across Cook Inlet from Anchorage, officials said. The wrecked plane, a Cessna, was found submerged in the water. Clint Johnson, chief of the National Transportation Safety Board Alaska Region, said a good Samaritan landed at the site and told investigators he saw one deceased person in the aircraft. The surviving pilot was forced to land in Anchorage on a single wheel in what one onlooker described as a belly slide. One side of the plane's landing gear was "sheared off" by the impact, Johnson said. The crash was first reported to troopers at 12:13 p.m.
Johnson said investigators believed the submerged plane is a Cessna 206 or 207. 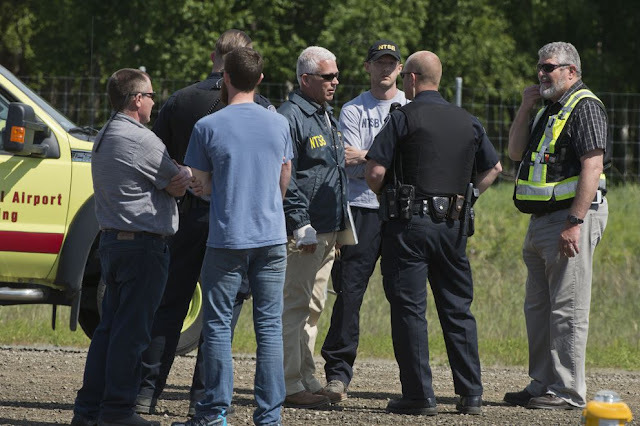 Speaking to reporters at Lake Hood on Wednesday, NTSB's Johnson said the pilot who landed safely told investigators that he had been flying from a remote fishing spot back to Anchorage when the collision occurred. The pilot "saw the (other) airplane at the last moment, basically nose to nose, struck the airplane, and made a couple of circles to try and assess what the condition of the other airplane was on the ground," Johnson said. The moments after the collision can be heard in an audio feed from the Lake Hood air traffic controller. In that clip, the surviving pilot can be heard giving his call sign of 9423B. "I've been involved in an accident. I'm missing my left gear," the pilot tells air traffic controllers. A second plane tells air traffic controllers that he is following the damaged plane. In the recording, there is talk about helping the pilot land safely on Lake Hood. Air traffic controllers ask the pilot in the damaged plane to climb to 1,500 feet altitude and circle the landing strip. "I got a real bad vibration, I can't climb any higher," the pilot replies. "No worries, just come inbound and over the strip," the air traffic controller says. "I'm starting to lose this airplane, so I'm going to go right into the strip," the pilot replies. But the pilot then regains some control, saying that he has dealt with the vibration and is feeling OK.
An air traffic controller tells him to stay at his current altitude, and that they are coordinating emergency response vehicles. They confirm that his left landing gear is missing and his right nose gear is bent. Then they clear the pilot to land. Shortly afterward, the controller announces to all aircraft that the Lake Hood airstrip is closed. Lt. Douglas Holler with Ted Stevens Anchorage International Airport Police and Fire said that he was on scene when the pilot landed at Lake Hood. Holler watched as the pilot landed the wounded plane. "He did a belly slide, basically, and came to a stop without flipping or anything," Holler said. The pilot was able to get himself out of the aircraft, Holler said. Erich Scheunemann, assistant chief of the Anchorage Fire Department, said medics responded and there were no injuries. According to the FAA plane number, the plane that landed safely is registered to an Anchorage man who could not be reached for comment Wednesday. One person is dead following a midair collision between two small planes Wednesday afternoon over the Mat-Su Valley. Troopers and Clint Johnson with the National Transportation Safety Board say the wreckage of one of the aircraft involved was found in a search near the mouth of the Big Susitna River, roughly halfway between Tyonek and Anchorage, on the north side of the Cook Inlet. One person is confirmed to have died at that scene, Johnson says. Troopers identified the victim as 56-year-old James Poelman, of Wasilla. He was the only person onboard at the time, AST says. 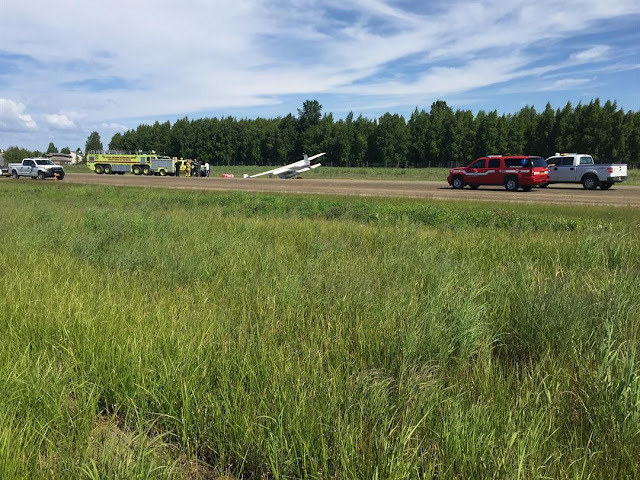 The other plane made an emergency landing on the dirt strip at the Lake Hood Seaplane Base just after 12:30 Wednesday afternoon. That plane sustained landing gear damage in the airborne collision, according to Anchorage Fire Department Deputy Chief Erich Scheunemann. “A single aircraft did land on the ground and there were no injuries,” Scheunemann said. Troopers say that pilot is in good condition. While authorities have not identified the second pilot, the plane is registered to a Bruce Markwood out of Anchorage. Clint Johnson, the National Transportation Safety Board's Alaska chief, told reporters at Lake Hood that the plane which landed was a Cessna 175. The other plane, which crashed following the collision, was another high-wing Cessna. “We have one airplane that obviously made the landing here – one person on board, no injuries, the airplane suffered substantial damage – and one airplane that unfortunately descended uncontrolled into the river,” Johnson said. Several emergency vehicles had surrounded the landed aircraft at Lake Hood Wednesday afternoon. The 11th Air Force Rescue Coordination Center launched an Army National Guard helicopter with a pair of Alaska Air National Guard pararescuemen in response, according to Lt. Col. Candis Olmstead with the state Department of Military and Veterans Affairs. An NTSB investigator visited the site of the crash at the mouth of the Susitna River with Alaska State Troopers via helicopter Wednesday afternoon. Alaska State Troopers have identified the pilot of a plane downed in the Susitna River Wednesday afternoon as James Poelman, 56, of Wasilla, whose body has been recovered from the crash site. AST says Poelman was the pilot and sole occupant of a Cessna 207 that collided with a Cessna 175 midair over the mouth of the Big Susitna River. Poelman's family has been notified. His body has been turned over to the State Medical Examiner's office. The NTSB is investigating the cause and circumstances of the crash. Pilot: "I've been involved in an accident, I'm missing my left gear." ATC: "Do you want to land at Lake Hood or Anchorage? We're trying to coordinate for you." Pilot: "I'd rather land at Lake Hood on the dirt." Pilot: "Cessna 2-3 Bravo, I've got a real bad vibration, I can't climb any higher." ATC: "November 2-3 Bravo, no worries. Just come inbound and orbit at the strip. What altitude do you want to remain at?" Pilot: " 2-3 Bravo, I'm starting to lose this airplane, so I'm just going to go right into this strip. " The NTSB confirms that one person is dead following the midair collision that left one aircraft submerged in the Susitna River early Wednesday afternoon. The pilot of the other aircraft involved, a Cessna 175, made an emergency landing at Lake Hood just before 1 p.m. Wednesday. The pilot is reportedly uninjured but shaken up, and has given a preliminary interview to investigators. Merrill Field-based Spernak Airways has confirmed that the pilot of the aircraft submerged in the Susitna River is an employee of the company. A Spernak Airways spokesman told KTUU on Wednesday "Everyone is devastated by this freak accident, and we would just like our space to grieve." A Temporary Flight Restriction has been issued by the Federal Aviation Administration over the mouth of the Susitna River where crews are conducting a search and rescue operation for occupants of an aircraft submerged in the river after a reported midair collision. A Cessna 175 made an emergency landing at Lake Hood Wednesday afternoon following reports of a midair collision over the Susitna River. According to Alaska State Troopers, the collision was reported at 12:13 Wednesday afternoon. Wreckage of one plane was found shortly after, submerged in the waters near the mouth of the Susitna River. Just before 1 p.m., reports were received of a small aircraft making an emergency landing at Lake Hood in Anchorage with damage to the plane's landing gear. AST says search and rescue team have been launched and NTSB investigators are on the scene and a preliminary investigation is underway. According to an NTSB investigator at Lake Hood, the two planes are believed to have collided or nearly collided "nose to nose" in the air. The pilot of the Cessna 175 at Lake Hood is reportedly uninjured, but shaken up. One of the aircraft reportedly was en route to or returning to Anchorage from a remote fishing site.